I bought this mask back in September 2011, when I was dealing with a larger than life ungrateful zit. Needless to say, it did not make it go away. Only time did. But I only recently noticed that with weekly use, my skin has been prone to less break outs *taps wood*. I do not have any major acne problems, just the occasional- right before an event - appearance. 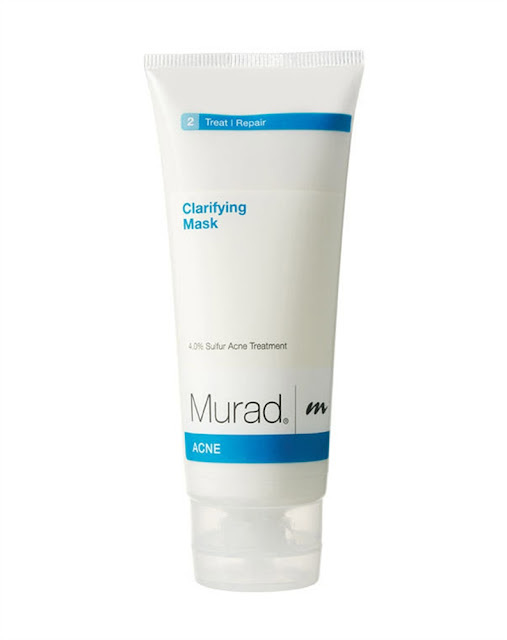 It has 4% sulfur, which helps treat acne, and also Kaolin clay which regulates oil production. I leave it on for about 20 minutes and then I hop into the shower. I've read in several reviews that people like to leave it on a spot overnight, and it greatly helps, but I've yet to do that, and frankly I don't think I will. The product is free of Sulfates, Synthetic Fragrances, Synthetic Dyes, Phthalates, GMOs and Triclosan. I got it from Amazon, but it's also available on Sephora and a ton of other sites.